Each month, Good Shepherd’s Vestry meetings begin with a devotion offered by a Vestry member, and, for the past year, we have been including these devotions in the Sheepskin. 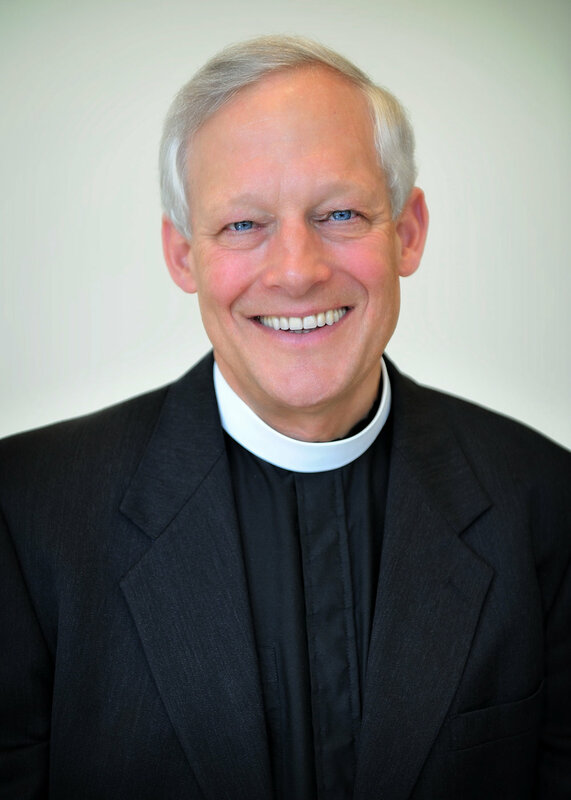 This month’s Vestry devotion is submitted by Fr. Craig MacColl. At this year’s Vestry planning retreat, which took place February 9-11 at the Cathedral Ridge Conference Center, my homily at the closing Eucharist service on Sunday suggested that the Gospel story of the Transfiguration of Jesus was especially relevant in light of my upcoming retirement on May 1. In the gospel story, Jesus takes three of his disciples to the top of a mountain (probably Mt. Tabor or Mt. Hermon) and, while there, his clothes and appearance become transfigured and he has a conversation with Moses and the Prophet Elijah. This incident takes place at a crossroads of Jesus’ ministry. After coming down the mountain Jesus will travel to Jerusalem where he will be tried, crucified and raised from the dead. One way to think of this story is that it’s about Jesus preparing his disciples for the time when he will no longer be with them and most scholars believe that this story is a kind of “preview” of Jesus resurrection from the dead. Of course, the disciples were probably anxious about the possibility that something bad is going to happen to Jesus, and that they will no longer have him as their leader and guide. When a Rector retires parishioners usually feel some anxiety. How will the congregation manage the transition and the interim process? What will change and what will stay the same? How long will it take before a new priest is called? In times of transition it’s especially important to pay attention to three things: stability, conversion of life and obedience. These three things are the foundation of the rule of St. Benedict and Benedictine spirituality (one of the approaches to prayer and reflection being explored in our Lent small group program, “What’s In Your Sacred Toolbox?”). • Stability is an important part of any growth process. If we are to grow and change in our lives, we need to be able to sit still and listen to what God may be saying to us in the inner most depths of our heart. Most of the time, when we are dealing with challenges in life brought on my changing circumstances, it is very easy to try to avoid or escape the hard questions that must be faced. Stability calls us to stay still and remain open and available to God and to others. Stability means staying rooted in some kind of spiritual practice that helps us stay focused on the present moment and not get distracted by our fears about the future or our regrets about the past. For congregations that are experiencing a transition in leadership stability might mean staying focused on “the big picture” and not getting distracted by all kinds of side issues or agendas. In times of transition, it’s especially important for the leaders of the church to have a clear sense of the mission and values of the church, to understand the history of the parish and to be more concerned about what’s best for the congregation as a whole. • Conversion of life is, of course about change. If we remain stable and focused on what God is trying to say to us, then we will have a better chance of making the changes that we need to make in our lives. Interims can be times of great anxiety for parishioners, but they can also be very fruitful times to consider new ideas and new approaches to ministry. Part of being open to change is being able to listen carefully to the needs and desires of parishioners even if what we hear is challenging to us. The important thing to remember is that, even though most of us are hesitant to change what is familiar, God is always calling us to grow in ways that deepen our relationship with God and deepen our commitment to follow Jesus in his life of servant ministry. • Obedience is a word that makes many of us feel uncomfortable. We often think of obedience as having to conform to someone else’s rules or expectations. But, in terms of our life with God, obedience is simply the recognition that if we are to change and grow we need to stay focused on God’s word and be willing to give worship and prayer a priority in our lives. During interim times, the amount of time that leaders devote to faithful prayer and worship becomes very important. If we are not committed to spending time in prayer how can we be open to discern who God may be calling to be the next Rector of the congregation?